Drum sales of authentic djembe and dunun…Get a drum you love! Special events, workshops and performances…Learn what’s up. 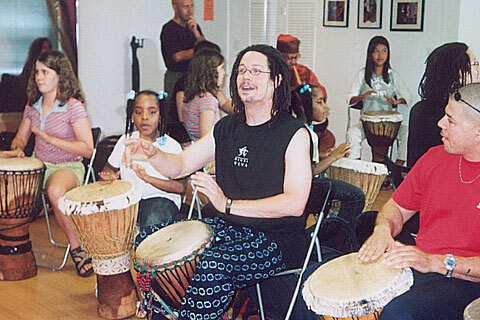 For Tam Tam Mandingue – Chicago’s classes in West African djembe and dunun…click here. Silence, Taylor’s first solo venture into the musical jungle…Preview it. A Touch of Chaos in the Rhythmic Soup, with Christian Pawola…Hear it, here. Kaben Kafo, a West African drum troupe…Catch the act! For more information and links to drumming resouces, visit our Links page. Any other questions? Send an email to taylor@holygoat.com.